He’s the Boogie Woogie Bugle Boy from Company B.’ We have Military, 1940s, Andrews Sisters, WWII, Abbott & Costello, ‘Buck Privates’ and other Classic Movies, Swing & Big Band Era Costumes, Vintage Attire and Retro Clothing. 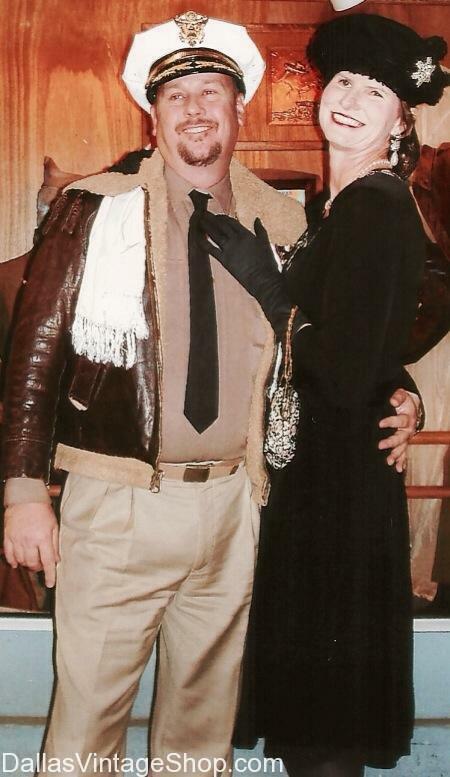 Let us help you win the costume contest at your next Hanger Dance, USO or Swing Dance. We have everything you need to complete your outfit. 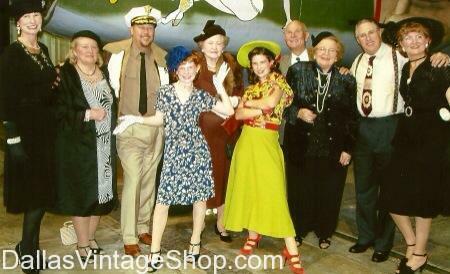 We have Swing Era Vintage Attire and Swing Era Vintage Style Clothing and Costumes in realistic sizes. Remember, we have the right shoes, hats, gloves, ties, pocket watches and chains you’ll ever need to give you the perfect Swing Era look. This 1940s USO Swing Dance Gal Outfit is only an example or Swing Dance Vintage Dresses in stock, all the time. Remember that many of the items on this website may have already sold by the time you shop, but rest assured we will always have quality and quantity when it comes to 1940s Swing attire. 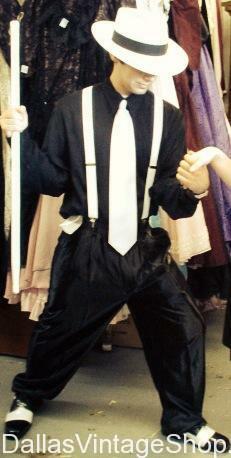 Check out this Swing is King Costume. We have so much Swing Era Attire you would be surprised. Like Men’s Swing Era Suits, Ties, Suspenders, Hats, Pants, Shoes, Pocket Watches and a lot of other great ideas from head to toe. Come find plenty of Swing Era Hanger Dance Costume Ideas. This Andrews Sister Outfit is a unique costume idea for your Swing Era or WWII Period Theme Party, Who are your favorite Swing Era Musicians? We can hook you up with some great costumes and all the accessories to complete the look. You will find everything you could imagine for Swing Era Hanger Dance Couples Costume ideas. Our Swing Dance Attire runs in all sizes, is diverse and plentiful and we have every period correct accessory you need. Looking for great ideas for your next theme party? We have everything you need for USO Dance Parties including 1940s Mens & Ladies Costumes and Period Attire. We have Hangar Dance Party Costumes Galore. Get ready to Boogie Woogie in this 1940s WWII Era ‘Swing Kids ‘Costume. We have all the Vintage Swing Era Attire and Costumes, Hats, Suspenders, Ties, Baggie Pants, Two Tone Swing Era Shoes, Pocket Watches, Canes and all the Period Accessories Imaginable. You are in Swing is King category.